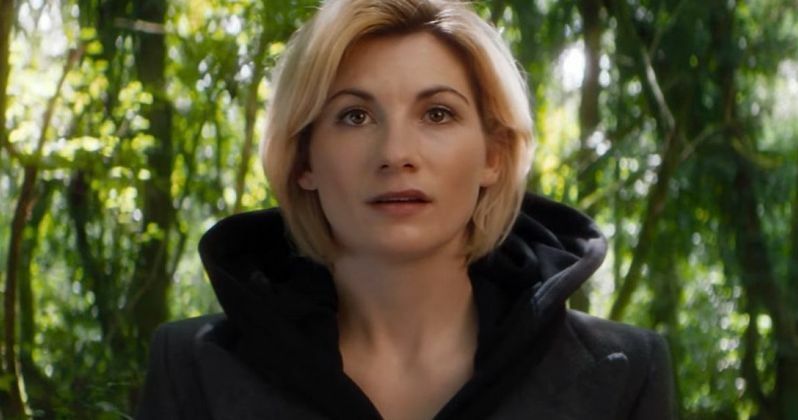 Just a few days ago, the BBC made history my announcing that the 13th Doctor in Doctor Who will be played by British actress Jodie Whittker, although some fans aren't thrilled with the news. After it was announced that Jodie Whittaker will become the first female Time Lord in the show's 54-year history, some fans lodged complaints with the British Broadcasting Corporation (BBC), and now the BBC has responded in kind. Here's the full statement released by the BBC, in response to complaints lodged by viewers over the casting of a female Doctor Who. "Since the first Doctor regenerated back in 1966, the concept of the Doctor as a constantly evolving being has been central to the programme. The continual input of fresh ideas and new voices across the cast and the writing and production teams has been key to the longevity of the series. The Doctor is an alien from the planet Gallifrey and it has been established in the show that Time Lords can switch gender. As the Controller of BBC Drama has said, Jodie is not just a talented actor but she has a bold and brilliant vision for her Doctor. She aced it in her audition both technically and with the powerful female life force she brings to the role. She is destined to be an utterly iconic Doctor. We hope viewers will enjoy what we have in store for the continuation of the story." The statement released by BBC doesn't mention how many complaints were filed against Jodie Whittaker's casting, but it was certainly more than enough to warrant an official response from the network. While Jodie Whittaker will in fact be the first female Time Lord, as the statemet reveals, it is actually possible for the Doctor to regenerate as a female. In the opening moments of the 11th Doctor era, portrayed by Matt Smith, he questions out loud of he's a girl, although, upon feeling his Adam's Apple, the Time Lord realizes he's a man. The Matt Smith era of Doctor Who also introduced fans to a character known as The Corsair, another Time Lord that the current Doctor had known for quite some time. It was revealed that The Corsair could ultimately switch genders, with Matt Smith's Doctor revealing that each time the Corsair was a woman, she was a "bad girl." It was also revealed in 2014 that Michelle Gomez's character Missy was actually a regeneration of a renegade Time Lord known as The Master, who was formerly a male. So, while Jodie Whittaker will in fact make history as the first female Doctor Who, the path to this moment had been in the making for several years, including a scene from last season when Bill (Pearl Mackie) and the Time Lord (Peter Capaldi) were talking about gender among the Time Lords, with the Doctor stating that they are, "billions of years beyond your petty human obsession with gender and its associated stereotypes." Before Jodie Whittaker signed on a few days ago, Hayley Atwell revealed she had turned down the role several months ago. The show will undergo another big change in Season 11, with Chris Chibnall, who brought on Jodie Whittaker, also replacing Steven Moffat as lead writer. Chris Chibnall also revealed in February that he plans on bringing in an entirely new cast of supporting characters for Doctor Who Season 11. Now that the new Time Lord has been found, it remains to be seen how quickly the rest of the cast will be filled out.